Gold has always been a desirable asset to invest into in India due to its special place in traditions and customs of Indian people. Gold bullion market in India has many non-traditional for other countries factors influencing it like wedding seasons, cultural festivals, harvest turn outs and many more. Indian people have always preferred buying jewelry opposed to investing into bullion choices or other forms of investment into precious metals. However, this has started changing recently due to historically high gold price in India making highly coveted jewelry purchases way too expensive for many people. 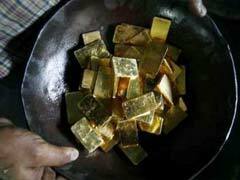 Precious metals consumers are switching their buying preferences and considering gold bullion market in India. It’s important to say that modern day bullion market in India is still poorly organized and best gold bullion market prices all over the country drastically differ from one province to another. Moreover, foreign gold bullion purchases are inaccessible to most people and gold bullion market in India is represented mostly by locally made bullion coins and bars. If you would like to buy gold bullion in India, your best bet is buying from your local reputable bank like the Bank of India, Indian Bank, Punjab National Bank and more. You should also check your local reputable jewelry dealer as they might carry a selection of bullion coins for you to buy from. Paper gold investment in India is also popular and sometimes preferred by some people who are hesitant about storing physical precious metal at home and do not want to rent a safety deposit box at the bank due to its high cost. Most National Banks offer paper gold investment accounts allowing you to purchase certificates entitling you to ownership of a set amount of precious metal that is stored at banks’ secure vault systems. As a summary, this type of market in India has a very promising future not only due to traditional preference in buying precious metals but to global tendencies to invest in physical bullion products and foregoing expensive jewelry choices.